Mowlem is a happy, safe and successful place of learning and we want to build a long and rewarding relationship with you. We believe we can only do our very best, when we all work together in genuine partnership with you and the wider community. Our aim is to give your child every opportunity to achieve the highest possible standards in everything they do. We encourage a ‘can do’ attitude to everything. 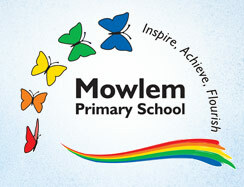 We have a clear vision and a deeply held set of values - our ‘butterflies’ which underpin all aspects of our work at Mowlem - Creativity, Inspiration, Achievement, Collaboration, Leadership. Please click HERE to read our vision and values statement. We believe that children need to leave our school with the core skills and qualities that will equip them well for the next stage in their education as well as in life beyond school. Our aim is that children at Mowlem Primary School will become confident, lifelong learners. We can only do this successfully if we work together and have a positive partnership between home and school. Our motto is ‘Achieve, Inspire & Flourish’, we welcome you to our website that will tell you more about the school and look forward to meeting & working with you. Mowlem Primary School is one of the best in the country for pupil progress. Mowlem Primary School has been nationally recognised for its exceptional 2016 performance by SSAT (the Schools, Students and Teachers network). Educational Outcomes data analysis from SSAT has shown that the school has enabled children to make progress in Reading, Writing and Maths which is significantly higher than the national average at Key Stage 2, and is among the top 10% across all schools nationally. ‘It’s my great pleasure to commend Mowlem Primary School on their excellent 2016 performance, and to have the opportunity to highlight and share their great work at an SSAT Educational Outcomes celebration event. We know how hard teachers work to ensure the success of every child. SSAT’s Educational Outcomes award recognises the professionalism, commitment and hard work of the leaders, teachers and students at Mowlem Primary School. A big thank you and well done to the pupils, staff and governors.